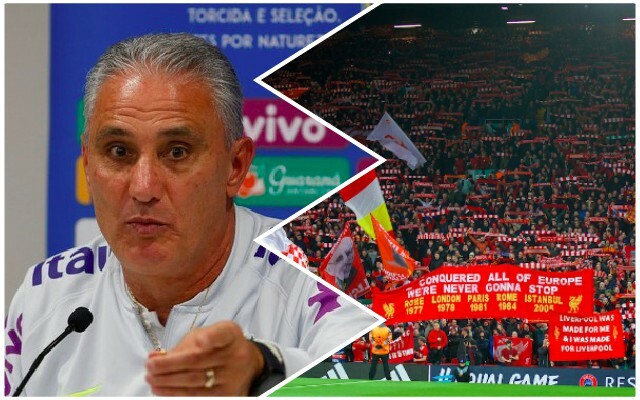 It seems Brazil boss Tite has finally learned from his mistakes over the summer, in which he used Gabriel Jesus as the starting centre-forward and Roberto Firmino as a bench option. Whenever Bobby came on, he made something happen for El Selecao, but he didn’t start a single game in Russia, despite outperforming the Manchester ace tenfold. However, during this international break, Tite started Firmino in Brazil’s first game against USA, in which he picked his strongest possible XI. He’s now explained how he’s adapted Brazil’s tactics slightly to help Firmino; asking him to do the same job he does for Liverpool – by dropping deep and allowing the wing-forwards to come in centrally. “Roberto stops being a no.9 and drops back into midfield, just like he does at Liverpool with Salah and Mane. We took that idea from Liverpool and applied it to us,” Tite said. Thankfully, Tite didn’t start Firmino against El Salvador on Wednesday morning, so he should be fresh enough to face Spurs at Wembley this Saturday.